The CGN321 STS is a heavy duty professional tabletop microphone set with excellent shock absorbing properties. 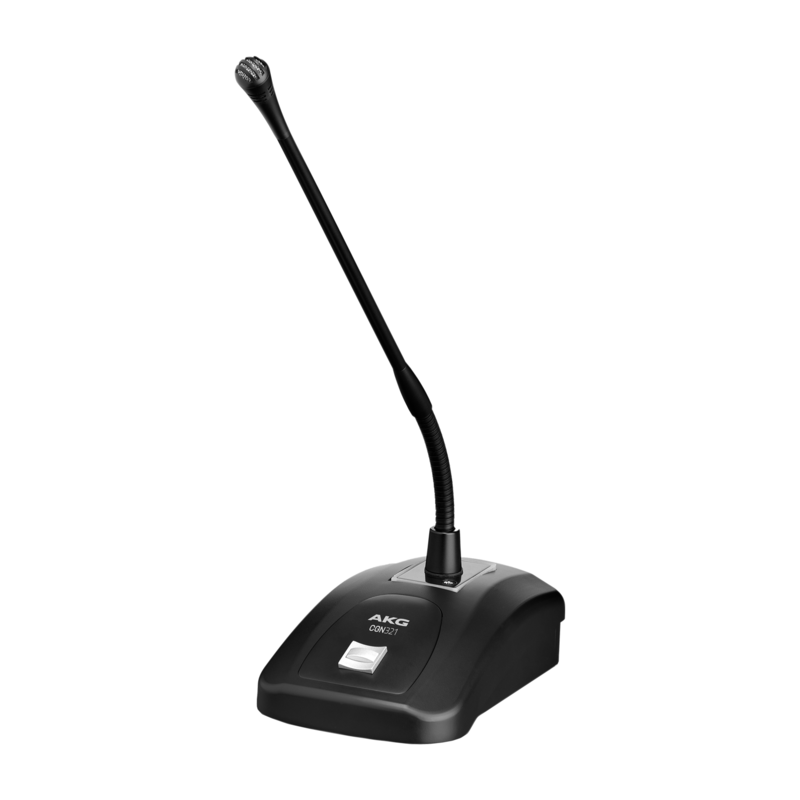 It features a CGN351 condenser gooseneck microphone with a cardioid polar pattern on a slim, 30 cm long gooseneck. This professional microphone is specially designed for inexperienced speakers who talk into the microphone from widely varying angles. The tabletop microphone set provides an extremely rugged switch capable of withstanding more than 25,000 switching cycles. It can be programmed for the following functions - push to talk, push to mute, push on/off, low cut on/off. An LED square clearly indicates the microphones status. The CGN321 STS comes with a professional, gold plated 3-pin XLR audio output.